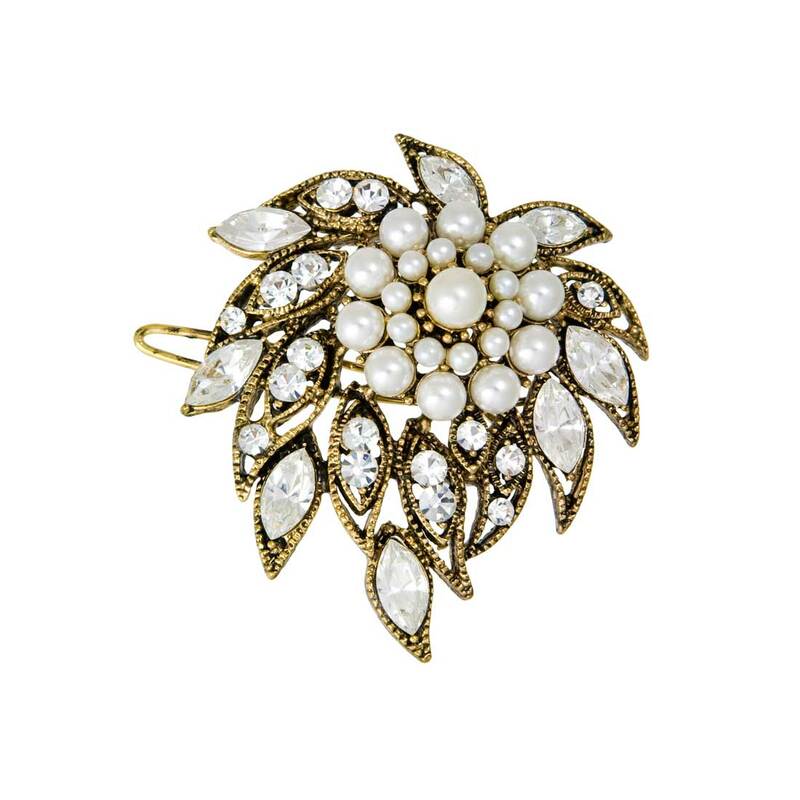 Inspired by 1920's vintage hair slides, this antique gold design features feathered edging adorned with sparkling clear Austrian crystals with a raised pale ivory pearl centre. This versatile large hair slide this looks so chic worn at the side of the head, pinned in a tousled chignon or timeless up-do. An exquisite 'piece' to dress party hair with 'vintage chic meets classic glamour' style and a fabulous wedding hair accessory for brides and bridesmaids who adore antique jewels from the roaring Twenties.